Master's or bachelor's from any recognized university with minimum 45% marks (40% for reserved categories). Candidates living aboard at the time of entrance test- Exempted. 10+2 or graduation/post graduation through open universities- Not eligible. Weightage: The criteria is based on the evaluation of weightage given to both academics and the PU Entrance test in the ratio 50:50. Language Preference: If a candidate has a bachelor's degree from Panjab University or any other, having modern Indian languages (Hindi/Urdu/Punjabi) and/or classical language (Sanskrit/Persian/Arabic), then the aggregate of 45% marks will be evaluated by taking the percentage of aggregate marks he/she secured in the language papers. 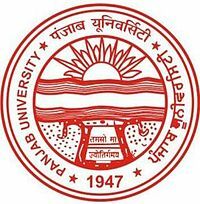 Postgraduates: The candidate who has Master’s Degree in any subject from the Panjab University will be eligible for PU LLB 2018. Prerequisite Qualifications: The Candidates who have obtained 10+2 or graduation/post graduation through open universities system directly without having any basic qualifications for prosecuting such studies are not eligible for admission in LL.B. course. Foreign/Overseas Candidates: Eligible Foreign Nationals/Persons of Indian Origin/NRI Candidates, who are in India and desired to seek admission in this category, will compete amongst themselves for the seats created for them by appearing in the PU LLB Entrance Test. Those living abroad at the time of entrance test will be exempted from the test. What is the age criteria for the exam? what is the weightage of the exam score and qualifying exam score?